Brothers Liam and Noel Gallagher reportedly have finally ended their vicious feud. They already have plans for a future venture, although it may not be what you’d expect. 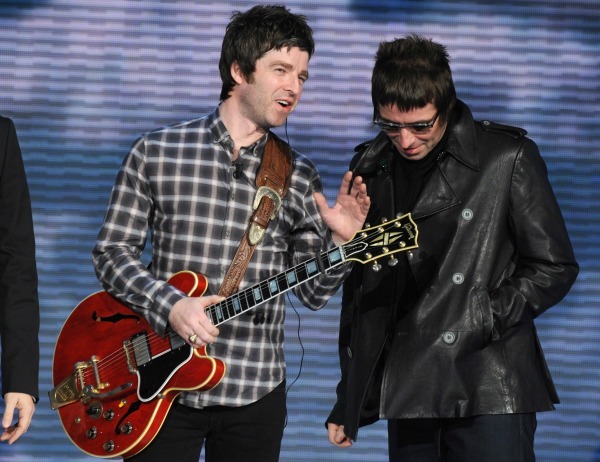 Oasis fans will be rejoicing at the news that brothers Liam and Noel Gallagher finally have ended their vicious feud. The brothers have been at each other’s throats since they had a massive fight backstage at one of their Paris shows in 2009. Since then, the two have been unable to see eye to eye, which led to the breakup of their hugely successful band Oasis. Previously, there was speculation that the siblings may reconnect because their mother Peggy had had enough of their petty fights and recently ordered them both to attend a family wedding in Ireland. Now there’s good news because the estranged brothers now appear to have reconnected at the wedding and are even rumored to already be planning a new venture together: opening a super cool bar. A source revealed to the Daily Star newspaper just how the brothers came up with the idea. It is rumored that the bar could be named Champagne Supernova after their former group’s anthem. Many fans will be upset that the pair are not going to reform their band, but the news that the brothers are even allegedly on speaking terms once again is rather exciting. However, former Oasis rhythm guitarist Paul “Bonehead” Arthurs believes a reunion is definitely in the cards and that one brother in particular would be thrilled with it.